Professor Arthur Getis, a Professor Emeritus of Geography at San Diego State University, received the RSAI Jean Paelinck Award 2017. The Jean Paelinck Award recognizes and honors the truly outstanding scholarly achievement of a senior and internationally recognized regional scientist in the field of Regional Science Methods and it is awarded with the nomination of five RSAI Fellows, with the selection of the Jury and with the approval by the RSAI Council. Professor Manfred M. Fischer, from Vienna University of Economics and Business, received the RSAI Jean Paelinck Award 2015. Manfred M. Fischer has maintained an active research and publication schedule over 40 years. His CV lists over 100 journal publications, 13 journal special issues, 40 monographs and edited books. Although he is close to retirement, Manfred M. Fischer is still highly active in research and publishes extensively. Although his CV may not reflect the whole year, for 2014 it lists 3 journal publications, 1 book, and 4 book chapters. The long list of awards, among them the RSAI Fellow (2006), the EIB-ERSA-Prize (2012), demonstrates Manfred M. Fischer’s international recognition. Many of the publications listed in the CV of Manfred M. Fischer are coauthored, about half of them with considerably younger scholars. Many of them have themselves entered a successful academic career. Examples are T. Scherngell, A. Varga, and J. Essletzbichler. Despite a strong and maintained focus on regional science in general and regional science methods in particular, Manfred M. Fischer also reached out to other areas in his work. On the one hand, he was among the first European regional scientists who collaborated with Chinese scholars. On the other hand, he also aimed to reach across to other disciplines like computational science, management, data management, etc. Manfred Fischer is one of the founding fathers and (co) editor in chief of the prestigious methodology publication Journal of Geographical Systems. He also serves on the board of many other journals in Regional Science and related fields. 1.1 The Jean Paelinck Award for Distinguished Sustained Scholarship in Regional Science Methods recognizes and honors the truly outstanding scholarly achievement of a senior and internationally recognized regional scientist in the field of Regional Science Methods. Such an achievement should be recognized from an early stage in a recipient’s academic career and be sustained throughout the duration of their career. 1.2 The Award celebrates that career and recognizes the attainment of outstanding scholarly excellence in contributing to innovation in the development of Regional Science Methods. 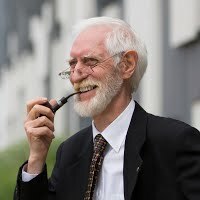 2.1 The Jean Paelinck Award for Distinguished Scholarship in Regional Science Methods is established to recognize and honor the distinguished scholarly career of Jean Paelinck, one of the four foundation Fellows of RSAI. 2.2 The Award will be given periodically by the RSAI Council, and is recognized as one of the highest honors bestowed by RSAI. 2.3 The Award recognizes how scholarly excellence is developed at an early stage in an academic career and how it is sustained creating a continuing contribution throughout the recipient’s career. 3.1 The Jean Paelinck Award for Distinguished Sustained Scholarship in Regional Science Methods may only be awarded to a regional scientist who has already been recognized for his/her scholarly excellence. 3.2 Normally the recipient of the award would be nearing retirement or be formally retired, but still be active as a contributor to scholarship in Regional Science. 4.1 It is expected that The Jean Paelinck Award for Distinguished Sustained Scholarship in Regional Science Methods will be made every two (2) years. 4.2 Nominations or consideration for The Jean Paelinck Award for Distinguished Sustained Scholarship in Regional Science Methods will be solicited every second year. 4.3 A nomination for consideration for The Jean Paelinck Award for Distinguished Sustained Scholarship in Regional Science Methods comes from Fellows of RSAI. At least five (5) Fellows must agree on the nomination. 4.4 A nomination may remain active for five (5) years. 4.5 A nomination must be accompanied by testimonials from a minimum of five (5) eminent scholars from at least three (3) nations who are able to verify the importance and scholarly standing and importance of the nominee’s publications. 4.6 The nomination and supporting documents are to be sent to the Executive Director of RSAI who will then forward it to the members of a Selection Jury. 4.7 The Selection Jury comprises a Chair, selected by the RSAI Council, and who is a member of the RSAI Long Range Planning Committee, plus four (4) RSAI Fellows. A Chair’s tenure is limited to four (4) years. Two (2) RSAI Fellow members of the Selection Jury rotate off every two (2) years. 4.8 When the Selection Jury recommends making the Award, the Executive Director will inform the RSAI Council in writing of that nomination. Unless within fourteen (14) days more than one-third of the members of the RSAI Council advise the Executive Director in writing of their dissent regarding the nomination, then the RSAI President or Executive Director will advise the member recommended for the Jean Paelinck Award and invite that person to accept the Award. 4.9 The presentation of The Jean Paelinck Award for Distinguished Sustained Scholarship in Regional Science Methods will occur at one of the supra-regional meetings of RSAI (NARSC/RSAmericas, ERSA, PRSCO), or at the RSAI World Congress. 5.2 The certificate will include the RSAI logo and the name of the Award, and a citation outlining the recipient’s scholarly achievement and the reasons why the Award is being made. Note: Criteria to be addressed in nominating a candidate for consideration for the Award. Inter-generational impacts (students and colleagues). Impact on other related areas to regional science.